Historically, a pulpit is the elevated place or enclosed stage, in a church, in which the clergyman stands while preaching. It comes from the Latin word ‘pulpitum’ meaning staging or platform. It is the place from where instructions of faith and morality flow and thus, one of the centers of the church. Needless to say, the significance of the pulpit in a place of devotion is undisputed. Today pulpits are popular not just in religious gatherings but also in boardrooms, auditoriums and conference and lecture theaters. Apart from traditional wooden pulpits, today's pulpits are also made from metal and acrylic with customized logos. Known to be placed in the area of attention, pulpits are used to place microphones, laptops, tablets and books to assist in presentations as well as decoration items like flower vases and pictures. 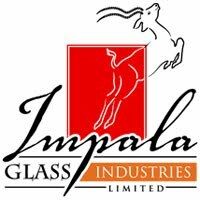 In this range, Impala Glass Industries, Nairobi, Kenya, brings the exclusivity of classy and customized glass pulpits with long lasting finish which offer modern designs as per contemporary tastes. 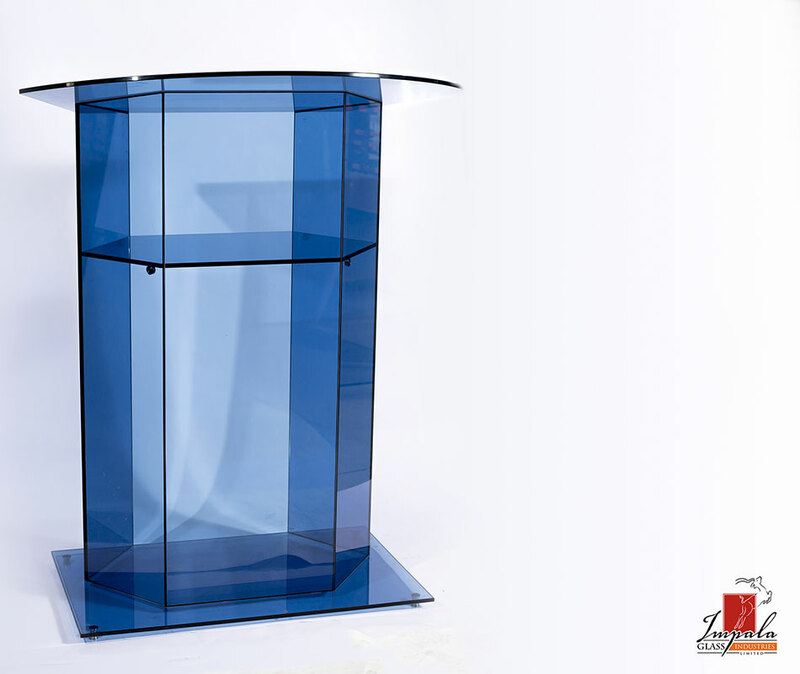 Available in a variety of shapes, sizes and colours—and also in the elegance of sandblasted glass-- these glass pulpits are fashioned lovingly from toughened glass. Logos or designs can be etched on these glass pulpits as per a client’s unique needs and requirement. 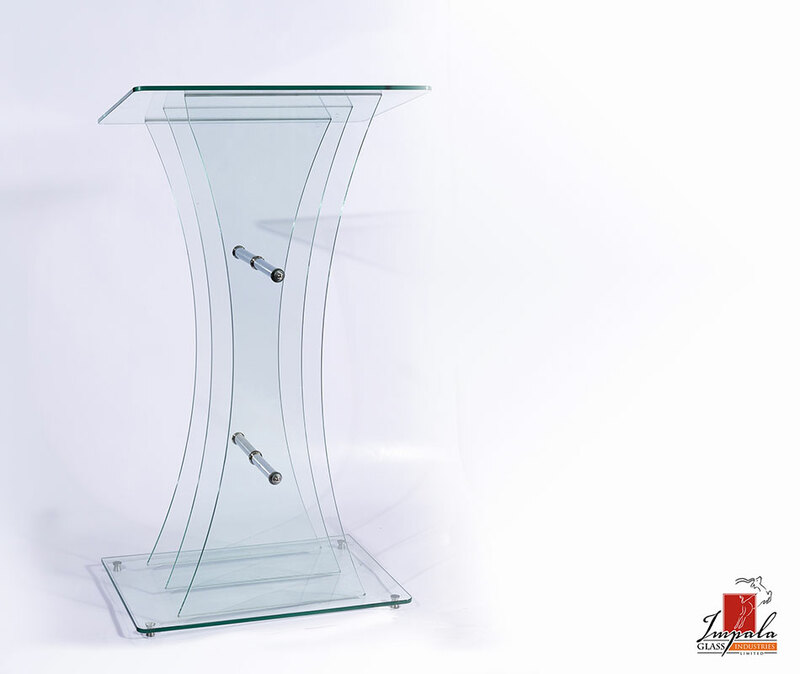 The advantage of glass pulpits is its ability to reflect light rather than obstruct it which may be the case in pulpits made from wood or metal. Light is not obstructed and the result is an open and airy area on the stage which does not take up much space. Impala Glass Industries’ glass pulpits create the quality of drawing focus on the speaker as they do not obstruct the speaker’s body and thus gives more opportunity to the audience to connect with the orator. Log onto impala.co.ke to view our range of glass furniture including pulpits, showcases, racks, stands, stools and tables.